With so many games and so few hours in the day, I often have to make tactical choices as to what to play and analyze. While I would like to wade into a sprawling RPG like Dragon Age II, I know I wouldn't be able to put the time or effort in to do it justice. Like its predecessor, I'm content to sit on the sidelines and watch both the game and the discussion surrounding it. 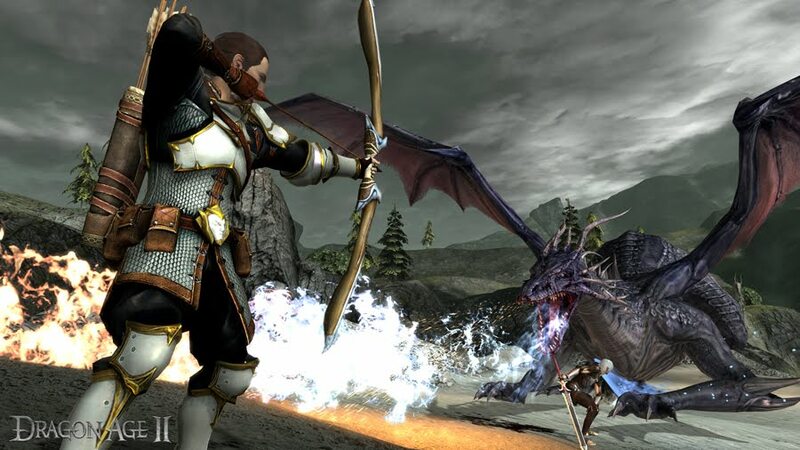 With Dragon Age II, said discussion has been just as interesting than the game itself. Unlike film sequels, video games franchises often improve with subsequent iterations. I was surprised to see multiple reviews that viewed the game unfavorably in relation to its predecessor. Samantha Nelson of The Onion A.V. Club lamented the lack of dialogue opportunities and the story's smaller scale. Justin McElroy of Joystiq, also missed the epic story of Dragon Age: Origins, and found DA II to be streamlined, but sterile. The normally mild-mannered Brad Gallaway launched took to his personal website to communicate a simple message: "Do Not Buy Dragon Age II." His coherent list of criticisms included weak storytelling, limited gamplay systems, and technical problems. While it would be exceedingly hard to determine, I'm interested in the impact said technical problems had on eager players. Our friend Justin Keverne's Twitter feed documented a depressing stream of technical mishaps and disappointing system crashes. While bugs might not have anything to do with the game's story, world, or design choices, technical flaws needlessly squander any amount of goodwill people bring in to a game. Jason Schreier's article at Wired sums up the underwhelmed feeling many folks had after playing DA II. While the first game was "absolutely fantastic," DA II seems to be "a shallow whimper of an experience that seems to have been rushed hurriedly through development." Perhaps business realities forced Bioware to make some tough choices? Although I tend to trust these writers' opinions, I can't help but wonder how their reviews would differ had they not played the first game. So much of the criticism around DA II revolves around comparing it to DA: O, but is this fair? Perhaps the first game was the aberration and DA II is the template? Is the world's apparent smallness and the simplified gameplay systems truly that bad, or is it just the shock of the new? How will the game change after subsequent patches and expansions? Perhaps DA II will age gracefully after a turbulent youth? In any case, it's been a privilege to watch the lively conversation surrounding Dragon Age II. Finally, and speaking of privilege, I was quite happy to see Bioware's Brian Gaider defend DA II's progressive take on relationships and sexuality against a player who complained that homosexual romances aliened "the straight male gamer." It's an eloquent piece of writing that lucidly describes the ubiquitous and insidious power cultural majorities hold. Regardless of how one feels about DA II (or whether one even plays the game at all), it's great to see such thoughtful people making video games. I'm not finished with DA II yet but I love it! I actually like it more than Origins, especially because of the combat. It's fast and clean and not as chuggy. I was disappointed with not being able to customize my companions' armor, but I do understand their choice in simplifying it. Sorting though loot is much quicker because if I can't wear it: junk! They also fixed up the menus a bit. Since my PC can't handle this game, I have to play the console version. And less confusing menus = win! And while the dialog choices may be less, I really like the format of them now. The pictures beside each choice gives you a clue as to how it will be interpreted, which helps a great deal on the conversations that may not have obvious outcomes. The story may not be as large or epic as the first, but the lore is still incredible! So many codex to read and stuff to learn about Kirkwall that the world still feels huge to me. I guess what I'm trying to say is, while DA II took a different path than the first, I still really love the game! I also love the fact that your protagonist isn't silent anymore. Glad to hear a more optimistic take! That's really interesting about the silent protagonist; silence to sound is a big leap and I'm glad they made the jump before waiting too long (I'm looking at you, Link!). After playing the DA II demo, I'm really looking forward to playing the full game. While I don't think the first DA was a bad game, it was too traditional for my tastes. It seems like a lot has changed in the sequel so maybe it'll interest me more. Dragon Age II may not be the most technically proficient game out there, but it does a number of things that other games (even other Bioware games) won't even speak about. They tried hard to break the mold and to write new, inspired characters - to form a narrative about an oppression that people didn't even bat an eye at - and nearly none of this gets tossed into the daily rhetoric because of one too many recycled backdrops? I don't know if I like this.